A young woman washing dishes'. From Art for Art's Sake. OMG! I finally cleaned the sink! No, I don't mean I wiped quickly round the surface of it, I mean I properly cleaned it. I have never had the courage to go on those blogs and websites which offer to support you and guide you into getting a grip on the enormous load of domestic labour necessary to keep a household ticking over. Maybe I think if I start reading seriously about it, I actually will be the most overqualified housewife I know. However, I did once secretly sneak onto a thread on Mumsnet giving domestic advice. They were chatting about the top tip, First clean your sink. Clean your sink? That seems like a pretty basic start. Even I can do that, no problem. In order to clean the sink, you first have to do the washing up. 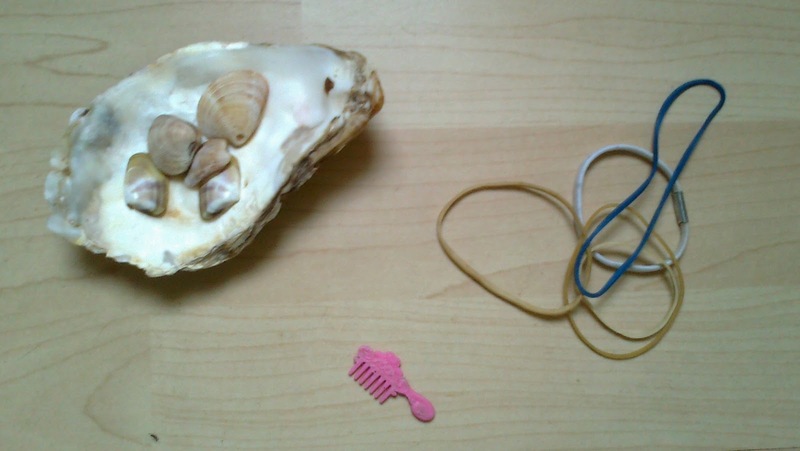 You also have to tidy up, put away - even find permanent proper homes for, the collection of little objects which gathers in a curious community of homelessness by the sides of the sink. 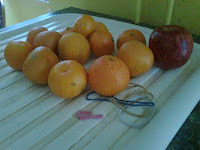 You probably have to leave the sink with bleach soaking away the worst of its nameless stains (well, mostly Luaka Ceylon tea in mine), so you have to make sure you get a good period when piglets and your cat are not likely to rush up and start using the sink (or drinking the bleach, eek!). Here is what was living by my sink: hair bobble, four elastic bands, three jamjars (one poor thing having lost its lid), fourth jamfar full of paintbrushes and spoons which got indelible glass paints on them (c'mon, they are bound to come in useful for something), pipettes used for 'science' projects and paint dripping, tiny plastic Barbie comb found in the road which is still a bit grubby, oyster shell full of other shells. As well as doing the washing up and lovingly rehousing the homeless objects, you will have to do a lot of other tidying and clearing around the kitchen, without which the sink cleaning would be a fruitless vanity exercise. This is the second time in two years that I've managed to get to the stage of actually cleaning the sink. It took me three days. The first day I washed up. The second day I washed up and put things away, and I swept the floor and cleaned the bathroom (see how far you can wander from the kitchen sink). Finally I managed to spend some time tidying up all the papers lying around the kitchen, wiping down the surfaces and table, washing the floor - and tidying up and cleaning (gasp!) the sink! I don't mind that it took me two years to get to this point, or that it might take another year before I manage to run a sponge and old toothbrush soaked in multisurface cleaner round the taps. It feels good to get to this Everest moment of domestic bliss, even though the sink is already surrounded again by a collection of water bottles, cups, plates, some tangerines and an empty milk bottle. I got a momentary grip on the chaos that is life. As a (bad) Buddhist, I think the idea that I have any grip on life chaos is a delusion. In order to maintain the still sense of contentment in a well cleaned sink, I have to keep moving. I will have to keep cleaning and tidying. The sink that is always perfectly tidy is the sink that isn't being used so it's no longer a kitchen sink. I think of housework as a Zen meditation. The monks at Ryoanji keep raking the gravel every day, then people walk all over it, then the monks rake it again. I tidy up the papers, then I cook and there are some vegetable peelings on the counter (OK, yeah, on the floor too), I pick them up and then there is a splash on the cooker, the sink is clean but now the cooker needs doing. In the constant motion that keeps the house in a balance between cleanliness and mess, is life. Life is movement, sparkle (of the cooker in the Spring sunshine, LOL), running water - not a frozen moment of perfect tidiness. If there isn't some sense of balance, if I feel I'm drowning in a rip tide of mess, something is not fitting properly. The house is too big. Or my life is. I shall reflect on it as I hoover up and down the stairs and go back to the sink.